How to goal set for the best year ever might feel like something everyone is talking about. What if I told you that there was another way, and that it could make your year the happiest yet? When we start the year with a long list of New Year Resolutions that we want to achieve, we set ourselves up to fail. A list might help you start dreaming about the type of life, career or relationships that you want to have, but it doesn’t set you up to achieve them. When we write a list, we are doing exactly that- listing. What we aren’t doing is planning how we are going to achieve those goals. To make things happen we need to action them. By plotting out how we will achieve each goal we can look at where we can build in small wins along the way. When we cheerlead the small wins, it helps us to keep going to achieve the bigger ones. Think about why you want to achieve each goal in detail. These are the types of questions that you could ask yourself. Why do you want to achieve this goal? Is it for health, to become a leader, to save a nest egg or get a promotion? If you could do one thing today towards that goal, what would it be? Are there people that you need to help you to achieve this goal? Who are they? What small wins can you plot out towards your main goal? How will you celebrate them? Imagine that you have achieved that goal, how does it make you feel? How has it changed your life? Once you have done this plot it all out onto your calendar. 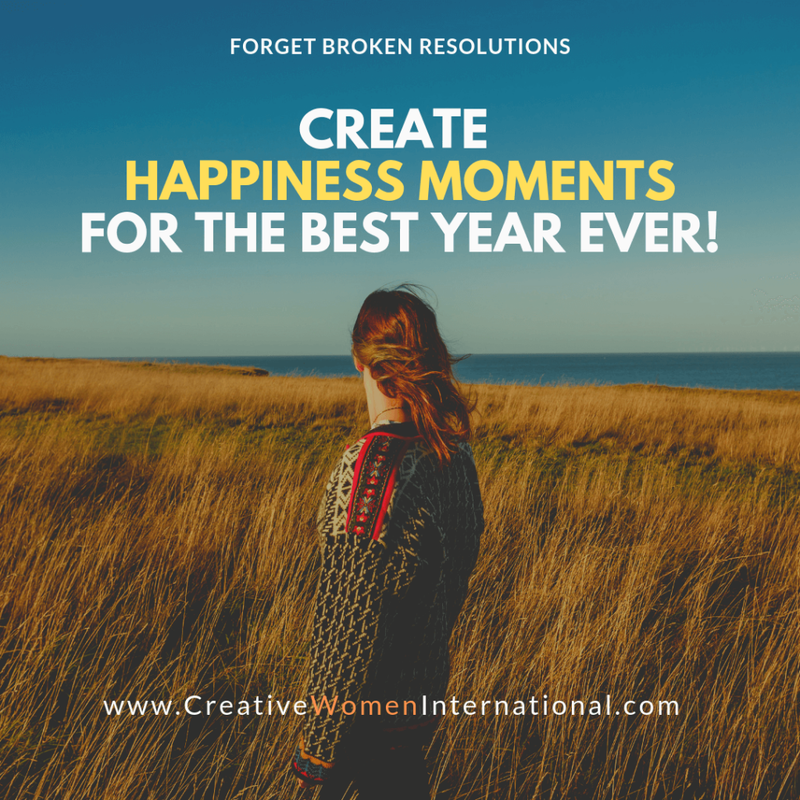 Next I want you to think about happiness-moments that you can build into your year to sit alongside the goals that you have set. I talk about how to do it in the video below. Which small happiness-moments can you build into your day? Is it a coffee at your favourite cafe, or a hot bath with candles? Which medium happiness-moments can you build into your week? Is it to meet up with a friend (even over Skype or FaceTime) or is it to take part in a book club? Which large happiness-moment can you build into this year, or plan for next year if it is really large? Is it a writing retreat, or a holiday with your girlfriends that you have been dreaming about? With all of these moment, plot them onto your calendar to make sure you action them. Only by planning can we work towards achieving. Let me know in the comments below what your small, medium and large happiness-moments are for this year. Previous Post: Staying small can be good for your business. Thanks for the reminder Philiy! Happy New Year to you too! I was definitely a work & not much play girl too- it’s my aim to change that this year!